Making an event the size and scale of Artists Open Houses happen twice a year could not happen with out these elements: the massive talents of the artists and artisans involved, the hospitality of the open house hosts and the participation of sponsors from the business and arts community. ARCH angels is one of those business happy to be involved with this years spring festival. 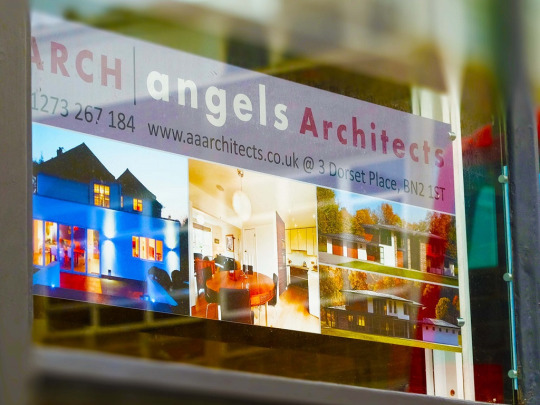 Based in Kemp Town, ARCH angels Architects is an Award Winning architectural practice that focuses on providing cost-effective, low energy building design to their clients across the South of England. 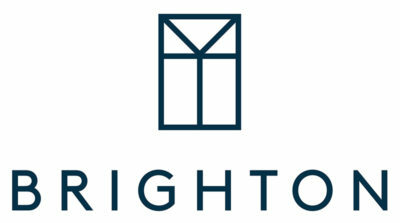 As headline sponsor they are a great fit with the energy of the festival, as they are passionate about architecture and art and design. 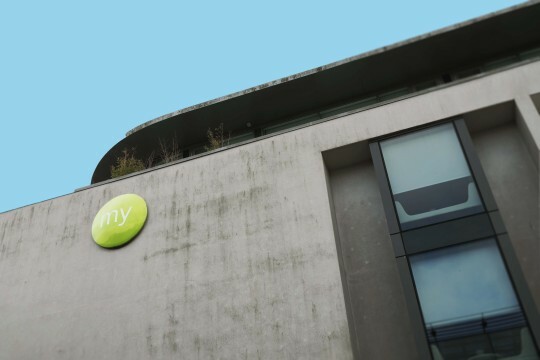 MyHotel on Jubilee Street has been a proud Artists Open Houses Festival sponsor for several years now but this year – they’re taking it up at notch! With artist and artisan designed suites, MyHotel is a great fit with AOH! 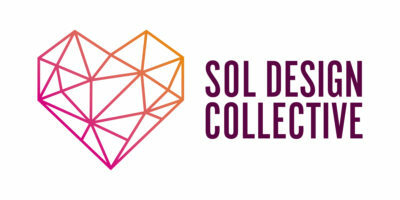 This year, for the first time they are partnering with artfinder.com – as the hotel becomes an Open House. Artfinder are a London based online gallery and global marketplace for original and affordable art and will feature a selection Brighton and Sussex artists at MyHotel. 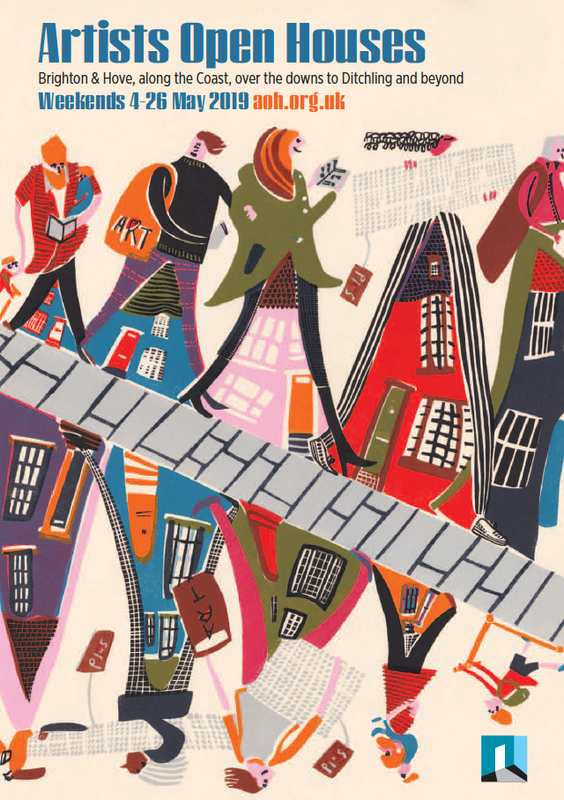 One of those is Sussex based street artist, Hannah Adamaszek. Hannah will be transforming MyHotel Brighton’s Mercury Room into a magical garden, complete with grass and flowers. So if you don’t get out of the Laines (we know, sometimes that happens) you can still experience the magic of the gardens for which the Artists Open Houses Festival is known. Artfinder and MyHotel will be running some great family friendly and green themed events through out the festival. Sounds like a great chance for folk to venture beyond the coffee shop and the library and check out this unique place in the heart of the Laines and the AOH Central trail. 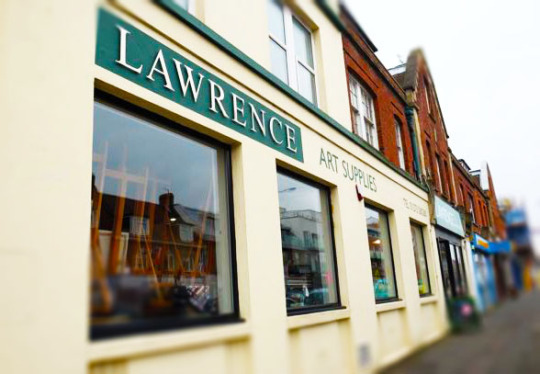 Lawrence Art Supplies on Portland Road is Brighton and Hove’s go to source for quality art supplies. They have been a family run business since 1859 and pride themselves on having a knowledgable staff who can help customers find anything they need. Not only are Lawrence Art Supplies returning as a proud sponsor of the Artists Open Houses festival, they will be featuring an eclectic and vibrant display of unique and individual work by tutors and friends of The Lawrence Art Studio including Penny Marler -Sculpture, Jane Jukes -Painting, Nicola Jackson -Paper and books, Jude Clynick -Wood engraving, Amanda Horvath -Painting, Puja Brown -Watercolour painting, Lucy Parker -Painting and jewellery, Caroline Marsland -Encaustic painting andNick Doyle Digital montage.